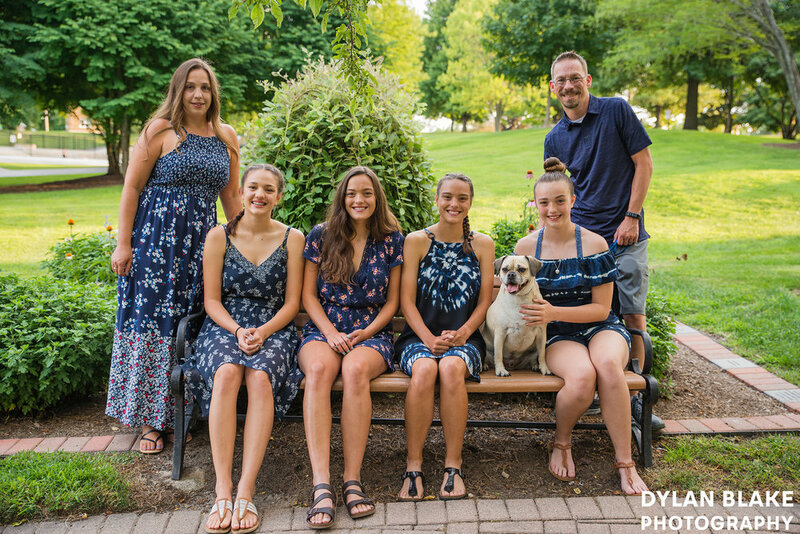 This family portrait session occurred on the last Friday evening in July. Originally we had planned on having this photo session a week earlier, but it ultimately got pushed back because the weather forecast looked iffy for most that afternoon. Seeing as the weather was much better the day of this portrait session, it turned out to be a great decision to re-schedule. Everything went well with the only real trouble was getting the dog, Percy, to not be distracted and look at the camera.